While enrolled at Dallas Theological Seminary, our founding pastor, Dr. Gene Jenkins had a desire to establish a Bible church in a university town. He and his wife, Patsy, visited Tallahassee, Florida and began praying for an opportunity to start a work here. Gene accepted a position as a chaplain at the nearby Apalachee Correctional Institution in 1970 and started making contacts in the Leon county area. In 1971 he began conducting Bible studies in the homes of several like-minded families. The church held its first service on Easter Sunday 1971, in the chapel of a local funeral home. Soon, the church outgrew the chapel and started meeting in the W. T. Moore Elementary School cafeteria. 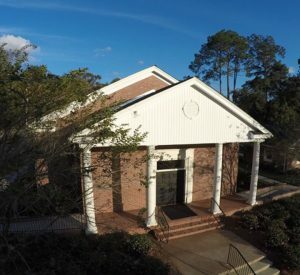 In 1980, the current facility was purchased and the church has met here since that date. 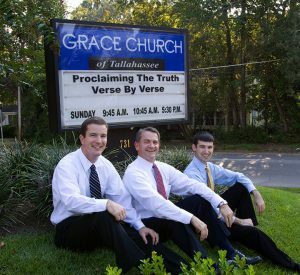 That same year, Pastor Jenkins resigned his position as chaplain in order to devote his energies full-time to shepherding the believers at Grace Church. Two other staff members were added in 1985. Dr. Jim Canter began serving as our worship leader; a position he still occupies. Rod Bunton attended Grace Church while attending FSU. After completing his masters degree at Dallas Theological Seminary, he became the church’s first associate pastor. 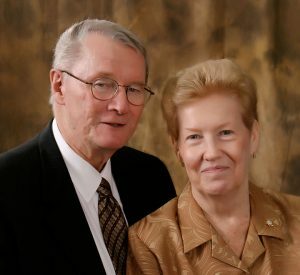 Rod became our Senior Pastor when Pastor Jenkins announced that he would retire in January 2008. Doug Link served as a Youth Ministry Intern for five years while completing his music degree at FSU. He then moved to Louisville, KY to pursue his master’s degree at Southern Seminary. Doug returned to Grace Church to become our full-time Youth Pastor in 2007. Ben Khazraee served as a Youth Ministry Intern for two years. He moved to Louisville, KY to pursue his master’s degree at Southern Seminary. Ben returned to Grace Church to become our full-time College and Administrative Pastor in 2009.